Today, we officially announced the availability of SoFi Private Student Loans – no fees, competitive rates, flexible repayment options, and a mobile-first experience. We’ve helped over 250,000 grads, including some of you reading this very post, refinance their student debt. So, we thought it was high time to expand our offering and to bring the same trusted and easy experience to a broader audience. The traditional student loan application process is daunting. We’ve taken everything we’ve learned making lending convenient and painless and brought those solutions to younger consumers and their parents through SoFi Private Student Loans. Our Private Student Loans are built around an easy and transparent application process that you can complete entirely online or on your mobile device. Applicants can pre-qualify in minutes without any impact to their credit score and easily add a cosigner. We support members through the search and student loan selection process by offering access to customer service seven days a week, in addition to SoFi Learn, an online resource center with over 500 articles, budgeting tools, guides, calculators and more. We offer competitive rates for variable and fixed rate loans, with no fees or prepayment penalties, and four repayment options (deferred, interest only, partial, and immediate). SoFi Private Student Loans are now available for undergraduate students and we will be adding products for graduate school students and parents in the coming weeks. And of course, all of this comes with SoFi membership – exclusive events, complimentary financial planning and career coaching to all members through our partnership with Korn Ferry. Share the great news with the high school seniors and parents of high schoolers in your network! 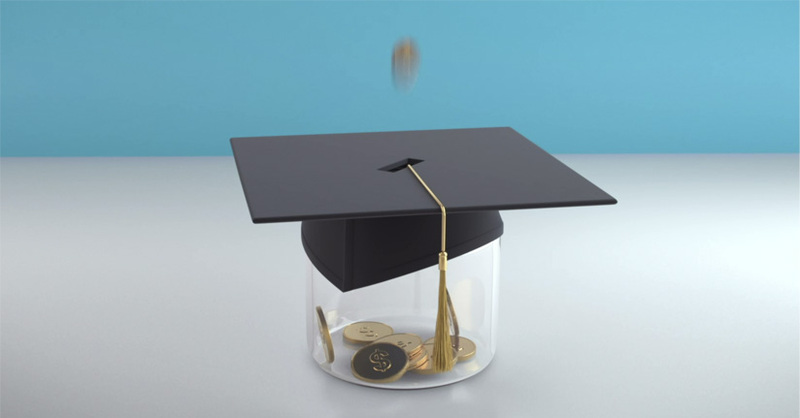 SoFi private student loans are subject to program terms and restrictions and applicants must meet SoFi’s eligibility and underwriting requirements. See SoFi.com/eligibility for more information. View payment examples. SoFi reserves the right to modify eligibility criteria at any time. This information is subject to change. SoFi Private Student Loans are not a substitute for federal loans, grants, and work-study programs. You should exhaust all your federal student aid options before you consider any private loans, including ours. Read our FAQs. To check the rates and terms you may qualify for, SoFi conducts a soft credit pull that will not affect your credit score. A hard credit pull, which may impact your credit score, is required if you apply for a SoFi product after being pre-qualified.